A luxurious natural soap with additions of goat milk, cocoa butter aetheric oils such as patchouli, vetiver, ylang ylang and sweet orange. 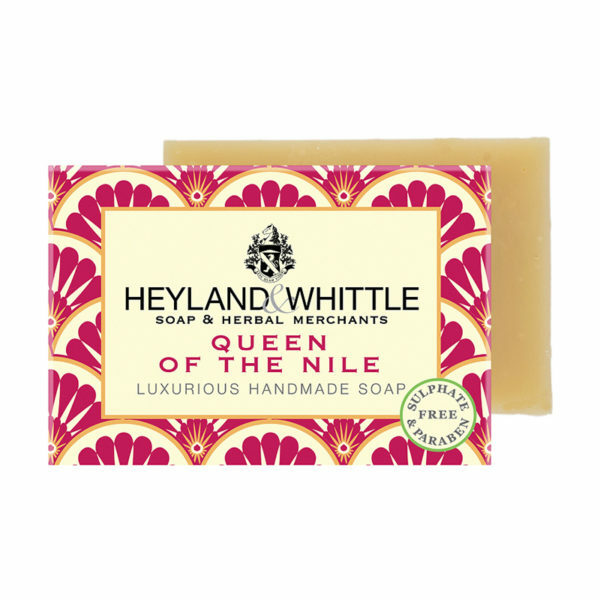 Due to its precious ingredients as the ones listed, the soap is especially hydrating, rich and creamy in its consistency. A blessing to dry and scaly skin. The intense scent changes between floral and fruity notes. A true mood-lifter. 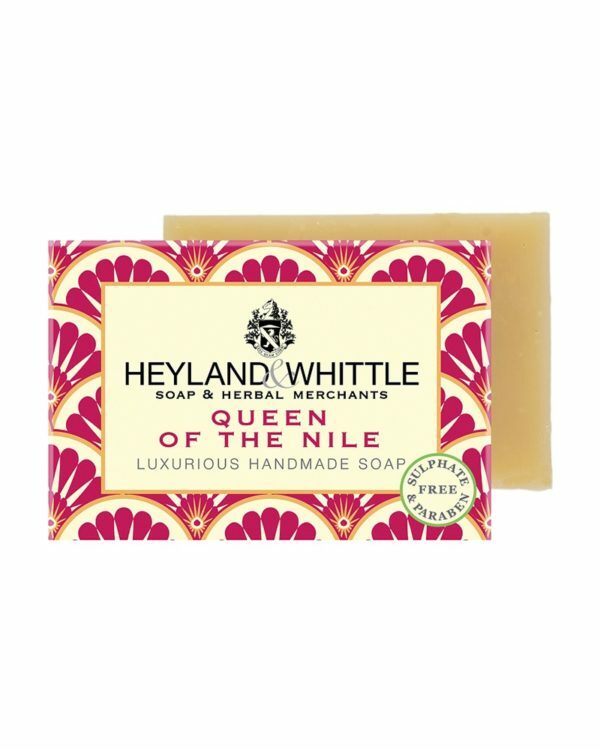 The Queen of Nile Soap offers a mixture of floral and fruity notes, achieved by patchouli, vetiver, ylang ylang and sweet orange. Throughout filled with positive additions.